The metallic door opened with a strange hiss. Mereston prodded it carefully with the tip of his dagger, suspicious. But if those doors bore traps of some kind, would he even recognize them as such? If the crafters even were people at all. These doors weren't at the right width and height for humans, elves, or dwarves. Everything seemed so strange. 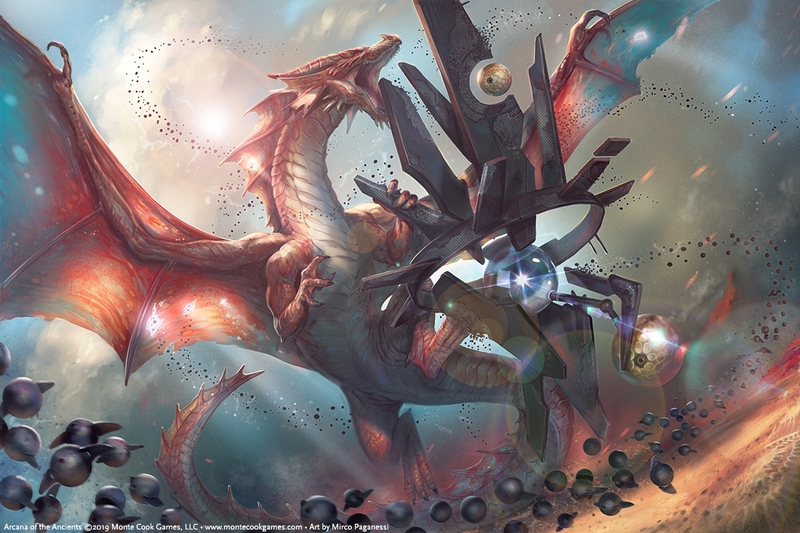 Arcana of the Ancients is a forthcoming sourcebook for 5th edition players and GMs to bring the wonders of mysterious technology and weird science-fantasy elements to their traditional fantasy campaigns. Designed by Monte Cook, Bruce R. Cordell, and Sean K. Reynolds, all of whom have years of professional design experience working on the world's most popular roleplaying game, this gorgeously illustrated hardcover sourcebook gives you everything you need to add a whole new element to your 5E game. Download this free preview now for a selection of science-fantasy creatures and items you can use in your 5E campaign today. Arcana of the Ancients is on Kickstarter now. As someone who liberally steals from the Ninth World for my 5e games (science fantasy setting) this is great. Minor suggestions: I did notice that the callerail's absorb object ability may be better setup as a reaction. I'm excited about this project! 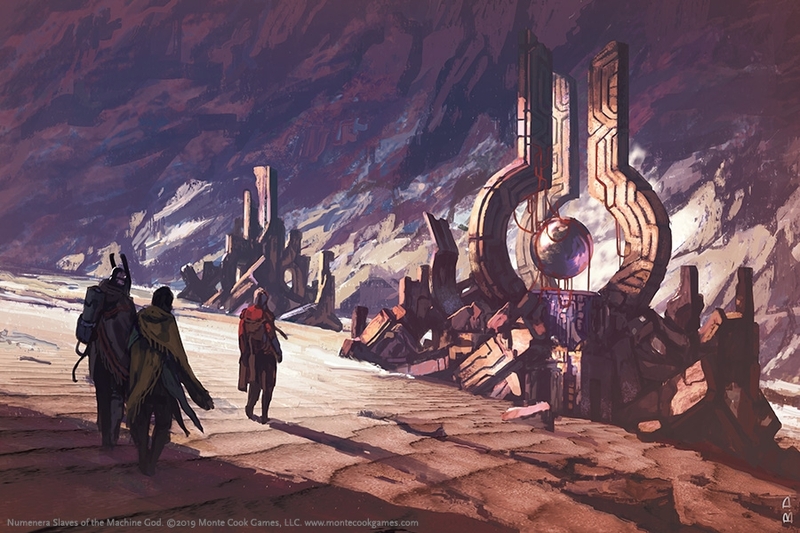 I've been running both D&D and Numenera for a while now, and it will be great fun to try a D&D style Numenera game. I noticed the OGL is missing, despite using OGL-licenced rules; was this an oversight? Oops! Wrong version of the file--that's kind of an embarrassing mistake! It's been fixed now--correct file is in place.